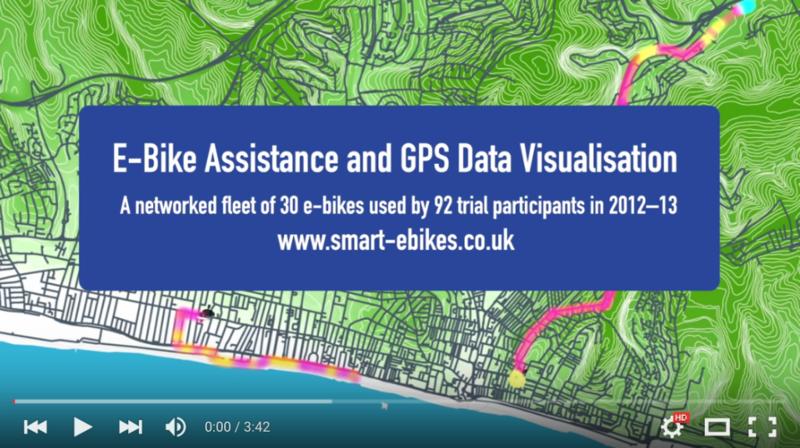 As part of the research project, data was collected with the Smart E-Bike Monitoring System (SEMS), an open-source platform for the acquisition of usage data from electrically-assisted bicycles. Dr Alan Summers (Chester) visualised fleet data from the Brighton trials in 2012-2013. Interview quotes illustrate the user experience.